Hello friends, if visiting my blog has become a regular occurrence (yay! ), you already know that I love to design printables for you to use in your home. What you may not already know is that I have a fascination with paper. The color, the weight, the feel…a pretty paper makes me light up like the fourth of July. Seriously I have an ever-growing collection of cards that I hoard away and my stacks of notepads and sticky notes? Let’s just say I have a hard time passing them up. Today though is not about my obsession with yet another notepad, I want to revisit printable art prints (and other fun printables) and offer you some great resources when it comes to choosing the right paper for your fun new print. The world of paper can be extremely overwhelming at first, but with a little terminology knowledge you’ll be able to navigate like a pro (or at least fake it til you make it). 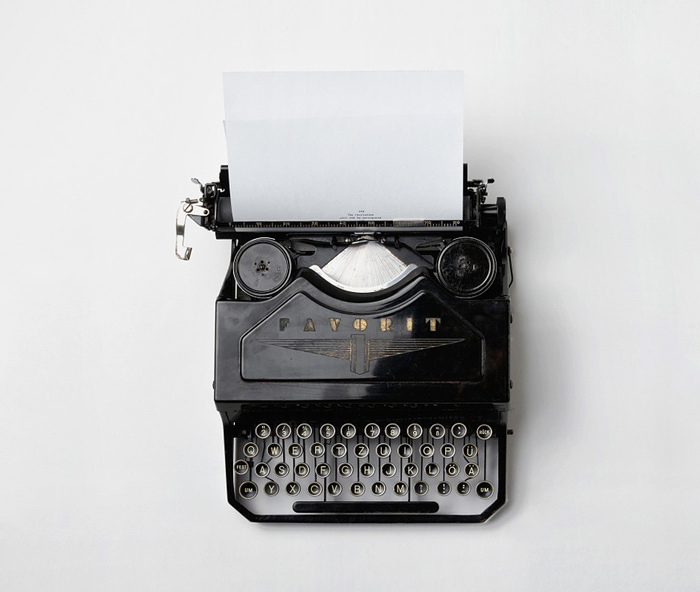 Two terms you have probably already encountered are: text weight and cover weight. Whats the difference? When it comes to text weight correlate printed words with the term – text weight paper is used for letterhead and stationary. Cover weight is just another term for cardstock (sound more familiar to you?) and is used typically for postcards or business cards. 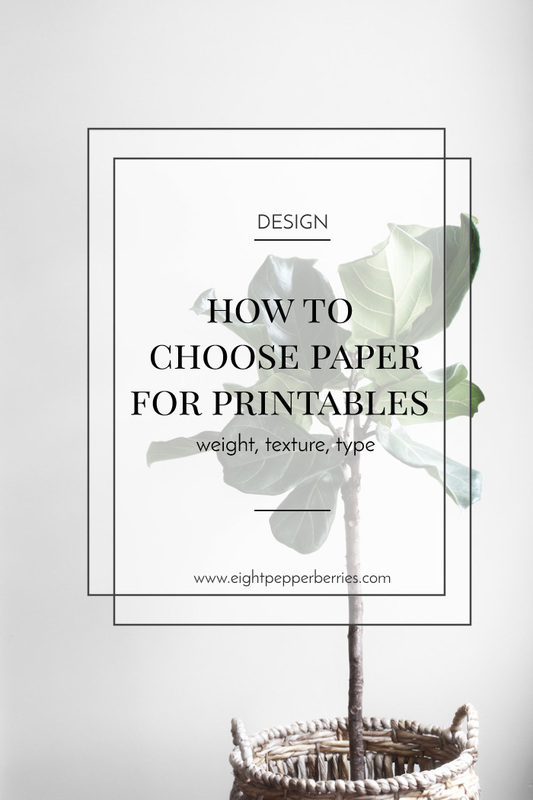 No matter which paper you choose, it will come in a variety of weights (thickness) and keep in mind that the higher the weight does not necessarily mean thicker paper. Because the United States does not use the metric system you will most likely find both metric weights along side U.S. weights. The metric measurement GSM (grams per square meter) is the best determination of a papers thickness. To learn more about how a paper is measured for its weight I recommend reading this article. Let’s be honest – picking a paper to print a printable on is not complicated at all, I promise! Here’s a little run down on paper weight examples, keep in mind that on packaging the # is interchangeable with lb (pounds). Paper Source has a great 75 lb cover weight option that is soft white and made with 25% cotton (giving it a slight texture). Great for invitations, announcements, place cards, etc. When choosing your paper consider your printable project and what it will be used for. Art prints can be printed on common printer paper (if being framed), but they will hold up best when printed on a high-quality paper weight. Choose the nicest paper your at home printer can accommodate, especially when printing as a gift or presentation. You want a paper that will allow the ink to dry very crisp and has minimal to no bleeding. The average home printer can only accommodate a certain level of thickness and that will vary printer to printer. In some cases you may be able to use a thicker paper if you hand feed it through the printer. Most printers are capable of printing on 80 and 100 lb card stock. You will have to test your printer on the use of other paper weights. CARDSTOCK – can be used for all types of cards: greeting cards, menu cards, place cards, and recipe cards. Also great for art prints, invitations, food tents, banners, calendars, signs, photo booth props, gift tags. It is a must when printing anything that is double-sided. PRINTER PAPER – food and drink party flags, labels, worksheets, and wrappers. SPECIALTY PAPER – stickers, labels, tags, invitations. If your printer can’t get the job done and you want a heavy paper think about sending the project off to a professional printer either locally or elsewhere. Professional digital printing isn’t as expensive as you may think. CatPrint (you can even get paper samples ahead of time), Staples, and VistaPrint are great budget friendly options. **Remember that even though you have purchased an art print (or other printable) you are not allowed to distribute or resell without an extended license. Paper Source is my go to when ordering card stock, I even used their paper for my save the date cards. You have the option to buy in bulk and save and the card stock comes in a variety of colors. Amazon, Target, and Staples also have card stock options. I hope that you’ve found these tips helpful, printing at home can be a breeze! Next week I’ll go over how to set up your print for optimal printing for your art prints and printables. If you have other printable paper questions that I haven’t addressed, please leave them in the comments section. Paper is fun and I want your printables to look amazing!